It was a single influx from Siberia that resulted in the birth of the Paleo-Eskimo cultures, which were wiped out 700 years ago, says a new study. 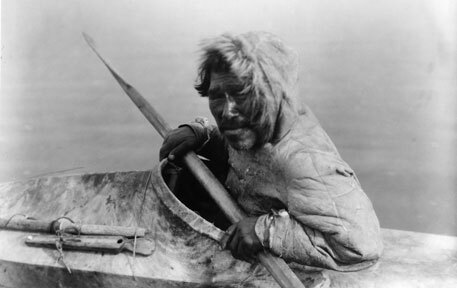 The Paleo-Eskimos constituted a single population displaying genetic continuity for more than 4,000 years. The study, published in the journal Science, was the work of 50 authors from different institutions across the globe, according to a BBC report. It says that the latest findings add a “fourth wave” to existing models of Arctic settlement in the New World, by confirming that all the Paleo-Eskimos arose from a distinct, early migration. “A single founding population settled and endured the harsh environmental conditions of the Arctic for almost 5,000 years, during which time the culture and lifestyle changed enough to be represented as distinct cultural units,” the report quotes Maanasa Raghavan, lead author of the new paper. The findings confirm that before the extinction of the Paleo-Eskimo culture, there was no mixing between those communities and the ancestors of Inuits, who arose from a second, distinct Siberian migration, the report says. William W Fitzhugh from the Smithsonian Institute in Washington DC considers the disappearance of the Paleo-Eskimos a mystery. “A whole population, a whole cultural tradition, disappeared within the space of 100 or 150 years,” he told BBC. Earlier hypotheses on the origin of Arctic groups were based on cultural artefacts. For the latest study, researchers collected DNA samples from more than 150 ancient human remains from across the North American Arctic. The international team was headed by the Centre for GeoGenetics at the Natural History Museum of Denmark, University of Copenhagen.